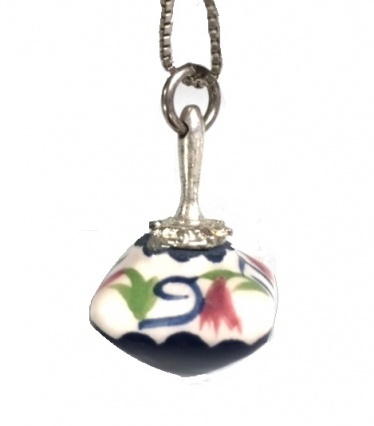 Blue Ceramic Dreidel necklace on a sterling silver chain. Notice the Peh in the Israeli style. Measures 3/4" x 1/2". Chain measures 18".